Mactra Marine Ltd would like to introduce you to a range of quality solar panels designed with sailors and ocean rowers in mind. 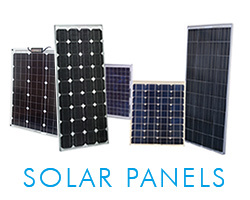 Sunset Solar are a German manufacturer of high quality photovoltaic solar panels for large on grid and off grid installations around the world. The Company was formed in 1979 and have been forerunners in the development of solar energy technology. We have taken what we believe to be a range of Sunset Solar's products that are best suited for off shore sailors and rowers and incorporated them into our unique product range. Mactra Marine's Sunset Solar range of solar panels have a 2 year warranty (5 year for the AS 90 27 HPC) covering failure and a 10 year warranty against the power produced by the solar panel reducing, from that produced when the panels were new. To compliment Mactra Marine's Sunset Solar range of Solar panels, we have chosen another well found German manufactured voltage controller from Steca. These controllers come in a metal body with a LCD display showing voltage. They can also be used with other items of equipment such as wind and water powered turbines. We have 'over specified' these voltage regulators as we believe that the better the equipment onboard is, the less chance that there is of it going wrong.